Distinguished alumni, students, and university leaders range from James Madison to Woodrow Wilson, F. Scott Fitzgerald, Eugene O’Neill, Jimmy Stewart, Jeff Bezos, Eric Schmidt, Meg Whitman, Ben Bernanke, Michelle Obama, and many others. Princeton is associated with 36 Nobel Laureates, 19 National Medal of Science winners, seven National Humanities Medal winners, and three current Supreme Court Associate Justices (Alito, Kagan, and Sotomayor). 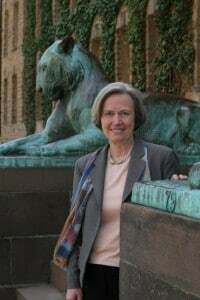 Dr. Shirley M. Tilghman, a Canadian-born molecular biologist, is the 19th president of Princeton, the first woman to hold that position, and only the second female president of an Ivy League school. 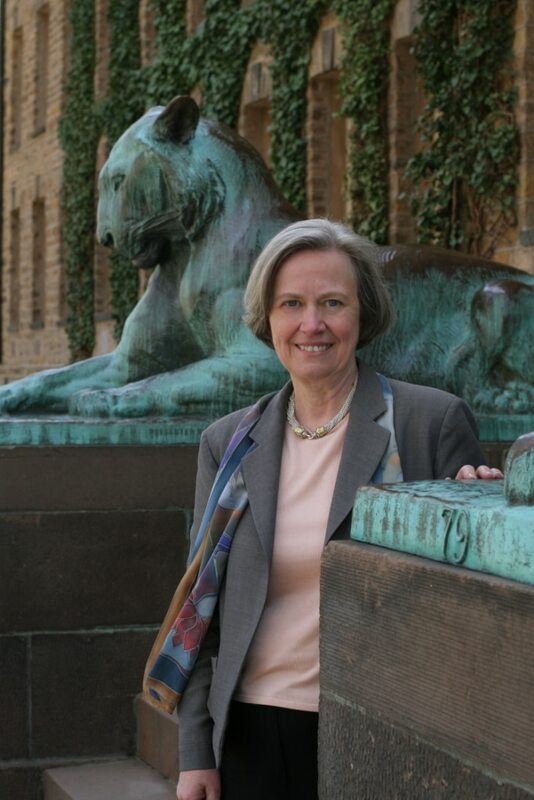 She was a member of Princeton’s faculty for 15 years before being selected president in 2001. In this role, she has overseen a significant expansion of the university’s residential college system, the creation of a neuroscience institute, and a major new commitment to the creative and performing arts, among other far-reaching initiatives. She has also provided national leadership on issues relating to higher education, federal science policy, and women in science and serves on the board of Google Inc. Dr. Tilghman will return to her first love, teaching at Princeton, in mid-2013. Here are excerpts of our interview with Dr. Tilghman for Triple Crown Leadership. What is the leadership dynamic at Princeton? Dr. Tilghman: The leadership dynamic at a university is different from any other organization I know. One of our trustees once described it as allowing the inmates to run the asylum. If you come from a top-down, command-and-control environment, universities look slow, inefficient, and chaotic. But there is method in the madness. The method is consensus-building. My role was once described to me as bringing together very strong constituencies, each of which feels passionately about the institution, cares about it deeply, and believes they are the most important aspect of the university. It really begins with its faculty. Without a world-class faculty, we would not attract students of the quality we want, so it is absolutely critical that a president have the confidence and support of the faculty. In many respects, they are independent contractors who feel as though they answer as much to their academic work as they answer to anyone who would dare to refer to himself or herself as their boss. Therefore, a lot of what a successful president must do is gain the confidence of the faculty, work with them to identify priorities, and then realize those priorities in a reasonable length of time. I’d be hard pressed to identify any other organization where the voice of such a large group of people plays such a seminal role in priority-setting and decision-making. What is your personal leadership approach? Dr. Tilghman: My leadership style grew out of my 25 years of running a laboratory. In labs, command-and-control isn’t an effective model. A team of scientists does the best work. It is essential to be a good listener and a good sorter, for as a professor of mine used to say, ideas are a dime a dozen. The difference between a good scientist and a bad scientist is recognizing the difference between a good idea and a bad idea, then helping to test the good one. I believe in building a strong team, hiring people who are smarter than I am, and then getting out of their way and letting them do their job as much as possible. I’m the opposite of a micro-manager. If there’s one thing I’m really proud of, it is having built a spectacular administrative team that works extremely well together. I place a high premium on teamwork–the ability to drop what you’re doing and help someone else get his or her job done–because that’s what’s best for Princeton. I also try as much as I can to be transparent. My most important job is to articulate clearly and consistently what the values of the institution are, where we are strong, where we are weak, and what we need to do to get better. You need to have a very well-defined vision of what the university is and where it’s going and then not deviate from that. I absolutely got this view from science because the way you succeed in science is through focus, focus, and focus. Can you describe Princeton’s culture? Princeton also has a tremendous commitment to excellence. When we sit around a table and say we’re going to have to make a really hard choice, we ask which of these choices is going to most contribute to our becoming a stronger, better university. We need to be sure we’re building on strength, which means there are lots of things Princeton has deliberately chosen not to do. We differ from our peers, from Harvard, Yale, and Stanford, in being much more focused as a university. That goes back to our belief that we should be selective in what we choose to do and then do them at a world-class level. What are some of the things that the university has chosen not to do? Dr. Tilghman: A medical school, law school, business school, divinity school, and veterinarian school. The secret to our success is that we do not try to do everything. We’ve chosen undergraduate education and very scholarly, rigorous Ph.D. education as our two priorities, and we’ve gone after those two things with everything we’ve got. What else should we know about Princeton’s culture? Dr. Tilghman: The importance of service as one of the rationales for why we would invest so much in the education of so few students. That’s a question I ask myself all the time. “How can I justify the amount we spend on educating each student?” The only way I can do so is to believe they are going to go out and, in many different ways, become leaders and, as the old cliché goes, contribute to making the world a better place. How was this culture built and by whom? Dr. Tilghman: I think the sense of community and service goes all the way back to Woodrow Wilson; maybe even back to James McCosh, Princeton’s president in the late 19th century. What I think is relatively new to Princeton’s culture is the commitment to academic excellence. There I think it begins with Bob Goheen, who was president from 1957 until 1972. Then Bill Bowen and Harold Shapiro, the succeeding presidents, accelerated it. If you were to go back and look at Princeton in the ’30s, ’40s, and ’50s, you would find it was a fine school, but it was a school where excellence was not embedded in the culture. Too often, the university saw itself as serving a particular subset of society. It was really Bob Goheen, by bringing women and minorities to Princeton, and then both Bill Bowen and Harold Shapiro, who made socioeconomic diversity a high priority, who changed this view. Harold Shapiro, in particular, opened the university to international students much more than in the past. That really transformed Princeton and made it truly one of the world’s great universities. All three of them focused on the quality of the faculty and how to increase its distinction. So, I think there was a sea change in the second half of the 20th century. Did the board endorse this focus on the faculty and excellence, or was it the president who was driving that culture change? Dr. Tilghman: I don’t think you could have done it without the Board of Trustees being supportive. The decision about co-education was a very difficult one, and there were members of the board who profoundly opposed it. But, ultimately, it was Bob Goheen who was able to persuade them that Princeton would become an anachronism if we were to continue to be an all-male institution. What are the metrics you use to judge excellence for a university? Dr. Tilghman: You can use all kinds of metrics. One of them is to look at what the members of a class have done with their lives at the time of their 25th reunion. I realize as a scientist there’s not a good control group for this test, but I think that’s really the best measure of how people use their Princeton education. Other more common metrics are things like the distinction of the faculty, as reflected in their prize-winning books, Nobel prizes, and memberships in the National Academy of Sciences. Also important is the commitment, loyalty, and giving of our alumni. One of the things of which I am most proud is the giving record of the five most recent classes to graduate. They are in the 70 to 80% participation range. Students who had a terrible time, or felt it was a waste of four years, would not be giving at that rate. The quality of the student body is another indicator, and I would measure excellence here both academically and with extracurricular activities. In all these areas we are doing well. We could do better, but we’re doing well. Beyond academic excellence, what other capabilities do you seek in your colleagues? Dr. Tilghman: I place high priority on emotional intelligence and a strong moral compass. The thing that would drive me to distraction would be having Princeton on the front page of The New York Times because we had done something unethical. To this I would add the ability to work effectively as a member of a team and be able to achieve something without getting a lot of public credit for it. When I’m interviewing someone, I try to assess if this is a person who would fit well into the group that we already have assembled. If you are not physically and mentally healthy, you cannot possibly be effective. So, I encourage people to take vacations, and I get on the case of those who do not because I think it is really self-defeating. As you have explored well-qualified candidates, have you ever changed your mind about their fit at Princeton? Dr. Tilghman: I can think of a time when we worked very hard to recruit somebody who was very distinguished, and the harder we worked, the less we wanted this person. This individual didn’t understand Princeton and our commitment to teaching, wouldn’t have fit in, and would have been a royal pain. We describe that time as dodging a bullet. Have you ever encouraged an existing Princeton faculty member to leave? Dr. Tilghman: I can think of two examples. The kinds of demands they were making were fulfilled better elsewhere. So, we’re prepared to lose people who are very good. My own sense is that 90% of the time at Princeton people self-select in or out, but every once in a while we’re prepared to do it. What are the purpose, or mission, of the university, as well as its values and vision? Dr. Tilghman: The mission has become to generate new knowledge and transmit that knowledge to the next generation, preparing young men and women for careers and lives of substance. We remind ourselves of that mission with regularity and try not to get distracted by things that aren’t directly involved in it. The research component of our mission has become more important than it was 100 years ago, though not at the expense of first-rate teaching. With respect to values, I would again emphasize the importance of excellence, integrity, honesty, and diversity. Princeton’s vision now takes seriously the role of the creative and performing arts in a liberal arts university, bringing both into the heart of the curriculum. We are also more self-consciously an international university than we were in the past. We are much more aware of the importance of having our students out in the world and bringing students from around the world back to Princeton, as well as encouraging our faculty to engage with issues that are global. Have you had to exercise leadership versatility in your tenure, sometimes being at the hard edge and sometimes at the soft edge of leadership? Dr. Tilghman: Yes, I move back and forth between those two edges, trying to do so subtlety, as opposed to having everyone confused all the time. It is sometimes important to stand up, make a critical decision, and then stand by it. There are instances when I went from building consensus to knowing that the time had come to make a decision where not everyone was on board. Is leadership at Princeton concentrated in the hands of a few key people or widely distributed? Dr. Tilghman: There are actually two answers to that question. First, Princeton is probably more centralized than any other university I can think of. The decision-making power is really concentrated in the hands of the president, the provost, the executive vice president, the dean of the faculty, and the chief financial officer. All it takes is the five of us to agree. It is extremely unusual for a university to have so much power concentrated in so few hands. Second, we believe in consensus-building and collaboration, so we encourage a lot of decision-making by many people around the university. We have not created a bottleneck at the top where five of us have to meet before something can happen. That was a leadership model of a previous president, and it may have worked in a simpler time, but it wouldn’t work today. You’ve got to have power and decision-making distributed much more broadly across the university. So, we are a hybrid. We don’t have the phenomenon of every tub on its own bottom, which is the classic description of a place like Harvard, where the dean of the medical school is a power unto himself or the dean of the law school is running a self-sufficient organization. We’re a single faculty with a single budget and a single endowment. What else should we know about leadership at Princeton? Dr. Tilghman: When to build leadership from within and when it is best to bring in a fresh pair of eyes. Of the five key people I just mentioned, three of us are members of the faculty, who came up into administrative positions. Having been on the faculty for 15 years before I became president was a huge bonus for me. It made the first year an order of magnitude easier than it was for Harold Shapiro, who came from the outside. You’re known, and you understand the place. It’s a huge benefit. I hired the executive vice president and the chief financial officer from outside. In both cases, there’s been a huge benefit in having those come with a fresh pair of eyes. Getting the mixture right is really critical. I think if you err too much on one side versus the other, you’ll either become inbred and myopic or you’ll be constantly creating upheaval. Brains really matter. You can’t be a leader here if you’re not smart. Ideas are the coin of the realm, and it’s very important that you be seen as somebody who can think your way out of even the knottiest problems. You were a member of the search committee when you were selected to be president. Can you describe what happened? Dr. Tilghman: Well, I’d wish you’d ask them. We spent a great deal of time together. They knew me well, and they had seen many outsiders to compare. Part of their journey was seeing that someone who did not have a Princeton degree–unlike presidents stretching back to Woodrow Wilson–could love the university as much as someone who did. That was a high hurdle for them to get over. But they could see that I was as committed and dedicated to the university as anybody who had a class numeral after his or her name. I think they could also observe the way I interact with people. When you’re on a committee of 18 people, how you behave in that group is pretty revealing about who you are, whether you’re trying to occupy all the air time, whether you’re listening to other people, and whether you’re respectful of other views, even if you don’t agree with them. I think they had a sense of who I was as a person. They felt it was important that the president have a strong academic reputation, be someone the faculty would instantly respect, and be empathetic. Much of what you do as president is pastoral work, whether it is trying to get to know a donor, so that you will understand what would inspire that donor, or managing a family in distress over something their son or daughter has done. Having a president who is seen as approachable, friendly, empathetic, and humane was important to them. Did Princeton ever lose its high-performing edge for a while, and, if so, why? Dr. Tilghman: In the early ’80s, Princeton had arguably the best biochemistry department in the world, just stunningly good. But within five years, 90% of the faculty in the department had left the university. Excellence is fragile. We should never take it for granted. We should be constantly vigilant in making sure that something that is really good doesn’t lose its edge. Dr. Tilghman: I think that Bill Bowen listened inappropriately to two members of the faculty, who did not have the best interests of the university in mind, and failed to listen to a younger group of faculty who were the superstars in the department. When they made proposals to do things that would have been fabulous for Princeton, they were turned down, and because these were the best of the best, they could leave without blinking an eye. I joined the faculty during the years we were trying to rebuild the biochemistry department. Bill decided, rightfully, that you couldn’t possibly rebuild it, so he created molecular biology instead, my own department. It required a $35 million investment to recreate that department. Luckily, it succeeded, but it is an example of how quickly something can get lost if you’re not paying attention. What, in your opinion, is great leadership? Dr. Tilghman: A great leader is someone who can inspire others to march together in the same direction, toward improving the institution, and then can actually make it happen. You’re not just marching; you actually get there! Bob and Gregg Vanourek are authors of Triple Crown Leadership: Building Excellent, Ethical, and Enduring Organizations (McGraw-Hill, 2012), based on interviews with 61 organizations in 11 countries. Bob is a Princeton alumnus.